Try any or all of four simple ways to preserve your fresh flowers…the experts at FTD share their top tips in this guest post. Not ready to let summer go? Hold onto the season by preserving the vibrant colors to use for your fall decor. 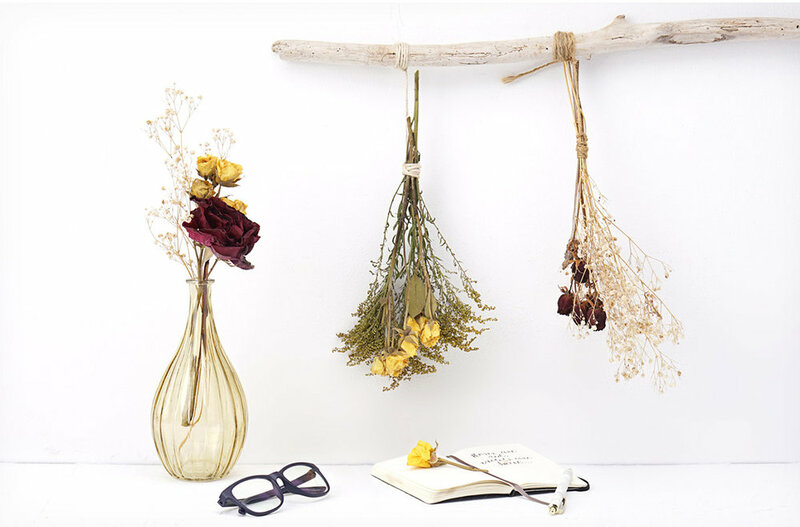 Drying flowers allows you to savor your favorite bloom for longer than just one season, and we are here to show you four different ways including air drying, using silica sand to either microwave or air dry, and lastly, using a heavy book to dry your flowers. 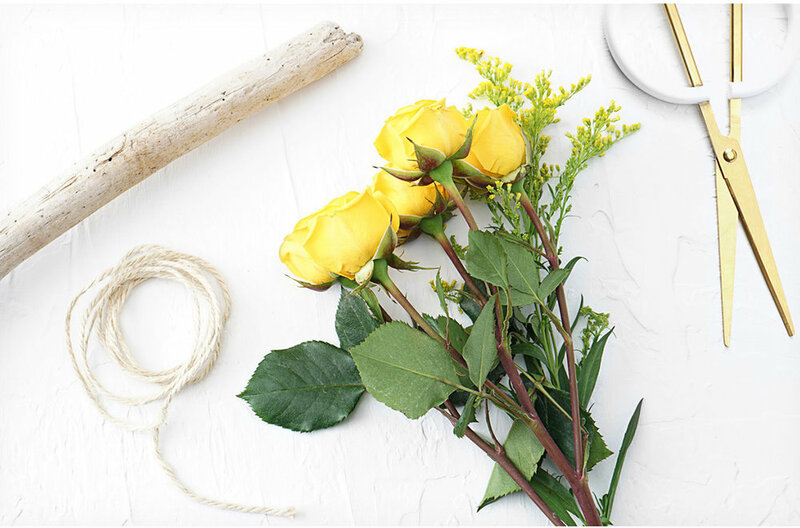 To help you get started transitioning into fall crafts, FTD has 4 ways to dry flowers and some decor ideas to give you inspiration! Step 1: Prepare the flowers by removing any leaves. Feel free to leave some on the stem if you enjoy the look of greenery. Step 2: Group the flowers in a bunch and tie them together. Step 3: Attach the flowers to a stick, piece of driftwood or hanger. Step 4: Hang the flowers in a dark place to dry. Direct light will cause the colors to fade. Step 5: Leave hanging for three or four weeks and then display! 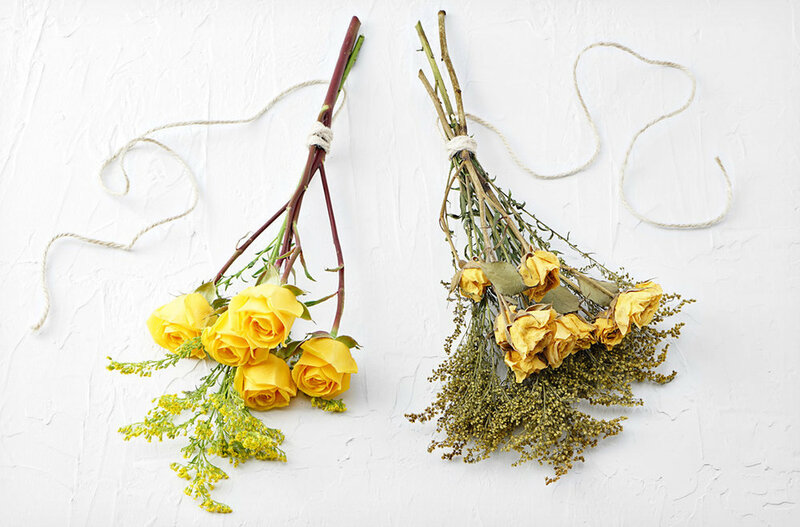 Example below shows a bundle of yellow roses before and after air drying. 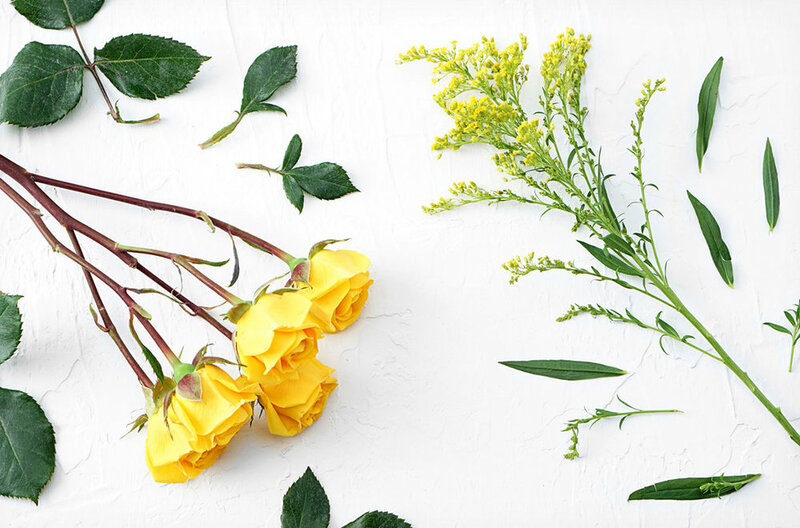 Step 1: Prepare your flowers by removing unwanted leaves. Step 2: Open the book and place absorbent paper on the books’ pages. Step 3: Place the blooms facedown, and carefully close the book, making sure not to move the flowers. Step 4: Stack more books or other weighty objects on top of the book. Keep in a place that isn’t likely to be in the way, bumped or knocked into! Step 5: Let it sit for three to four weeks. They should have a papery feel when they are fully dry; change out the paper and let them dry longer if they aren’t quite ready. Once dry, remove and use for decor! Step 1: Remove the leaves and place a flower in the container on top of some silica sand. 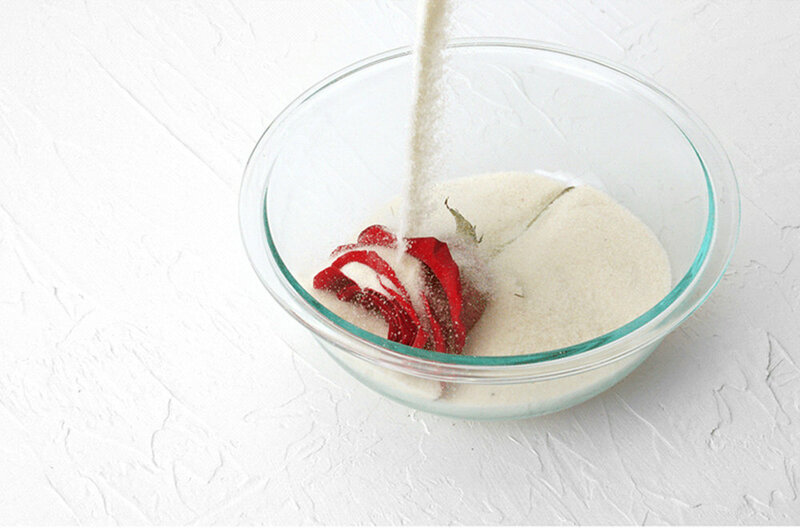 Step 2: Carefully pour silica sand over flower until it is completely covered with silica sand. Step 4: Once flower looks dry, leave it covered in sand in the container for 24 hours. Step 5: Remove from sand and display! Examples of a red rose before and after microwave drying show below. Another option is air drying your flowers in silica sand without using the microwave. This will take longer but you can use a larger container that doesn’t need to fit in the microwave, so you can dry more at once, and you’ll be able to retain longer stems, if desired. Step 1: Place flowers in container and cover with silica sand. *When using silica sand to dry flowers using either the microwave-drying or air-drying techniques, the density of flowers can make a difference in how long they should be microwaved or air dried. Visit FTD’s blog post for handy reference charts of drying times for popular flowers, and find even more ideas for drying flowers, such as using a flower press, pressing flowers in a microwave (instead of using silica sand), pressing flowers with an iron, and a fun idea for creating a DIY botanical “print” with your pressed flowers! 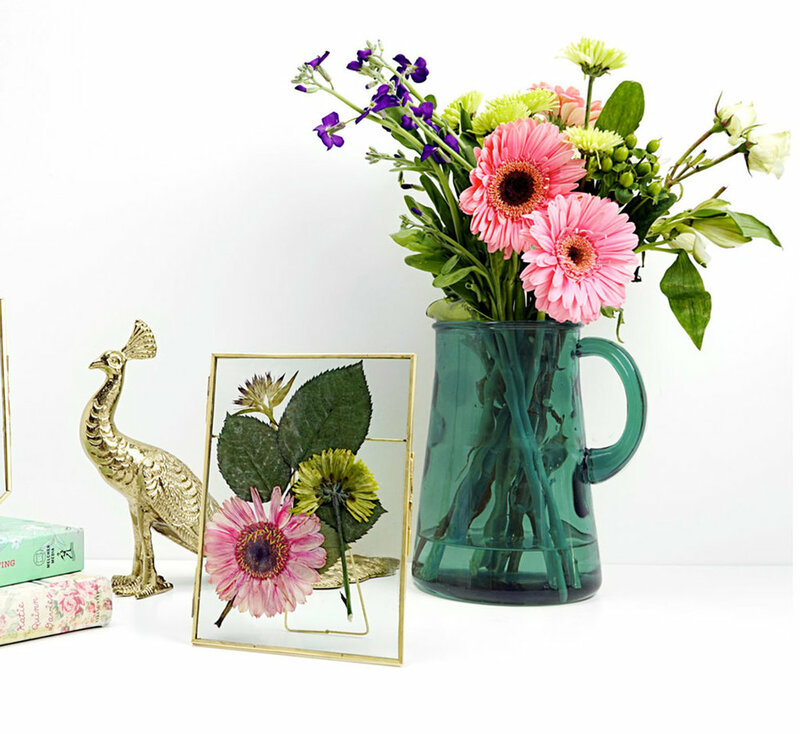 Now that you know how to dry flowers, it’s time to get creative displaying them in your home decor. A special thanks to FTD for sharing this super reference and beautiful images! Visit FTD’s blog for additional inspiration, and share your favorite ideas in the comments below. You might also like Fabulous Fall Wreath How To and How to Make A Bow with Wired Ribbon.